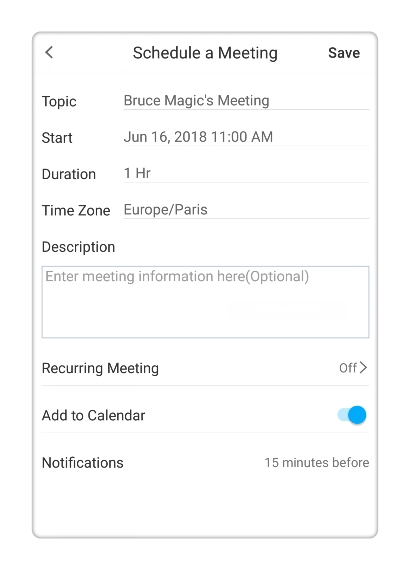 How to schedule a recurring meeting on ezTalks Android app? 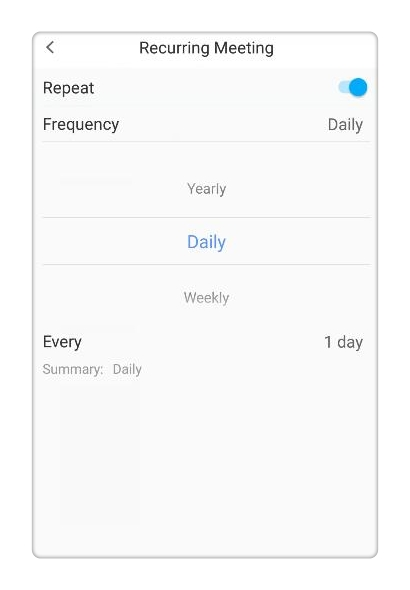 Get to know how to schedule a recurring meeting with ezTalks Andriod app. 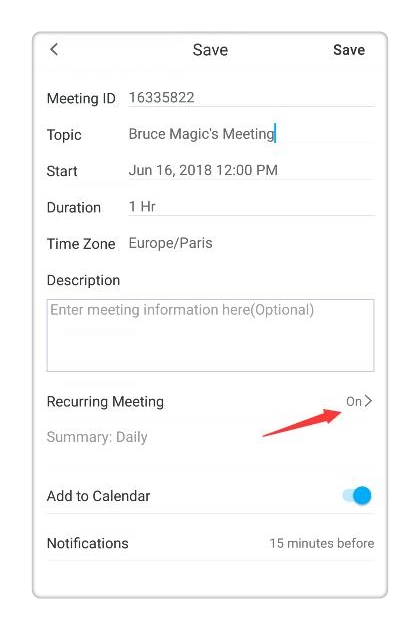 Here are the steps on how to schedule a recurring meeting on the android device, learn how to schedule a meeting on the desktop an iPhone device. 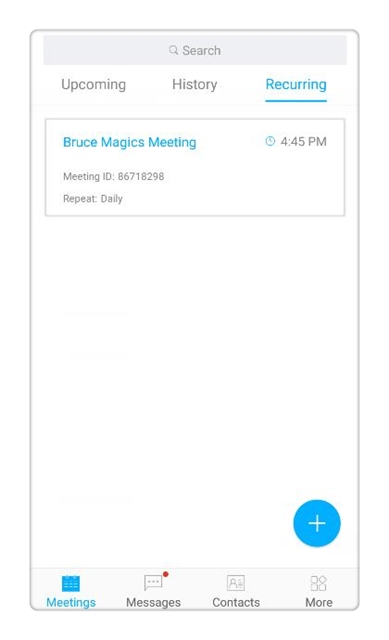 Step 1 Open the ezTalks app on your Android device and click on Schedule a meeting. Step 2 Click on the Recurring Meeting to turn it on.